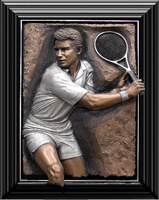 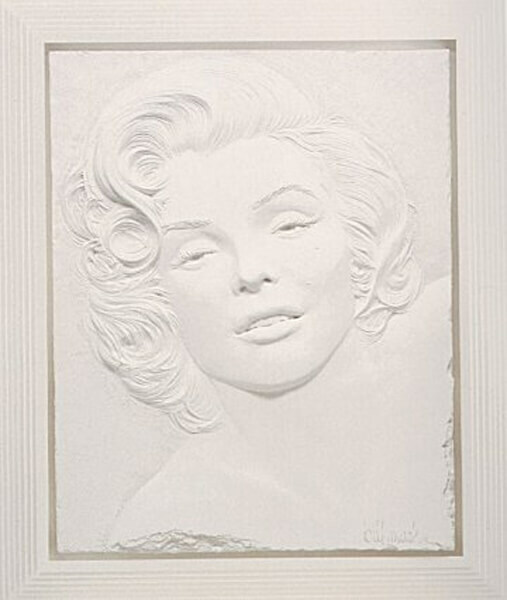 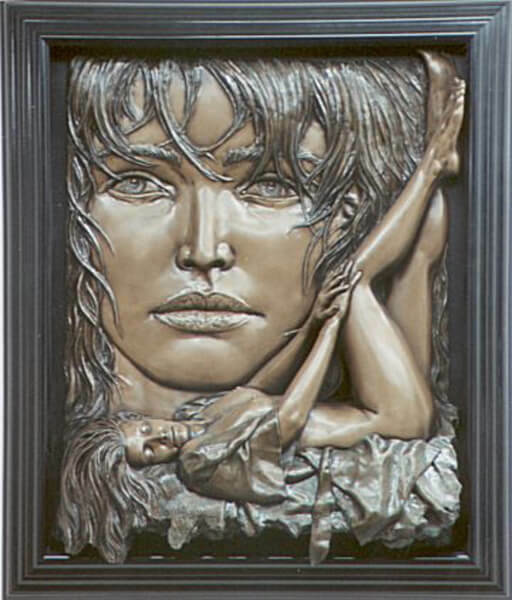 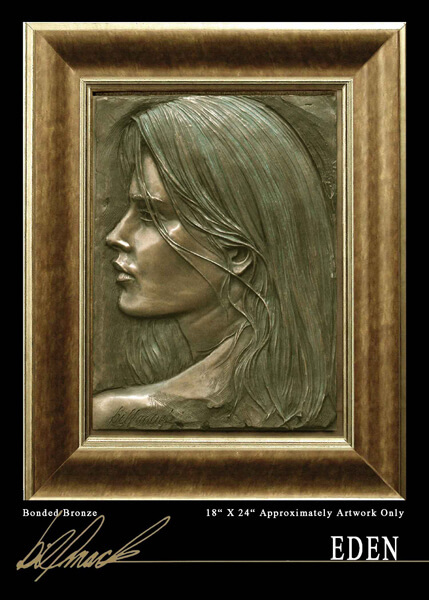 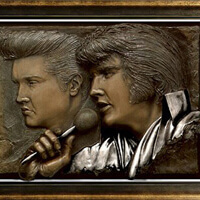 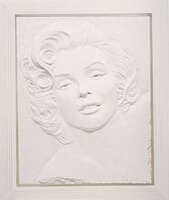 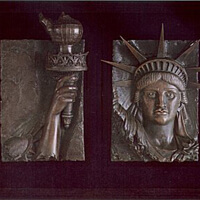 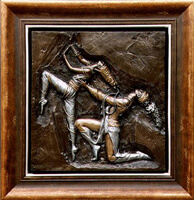 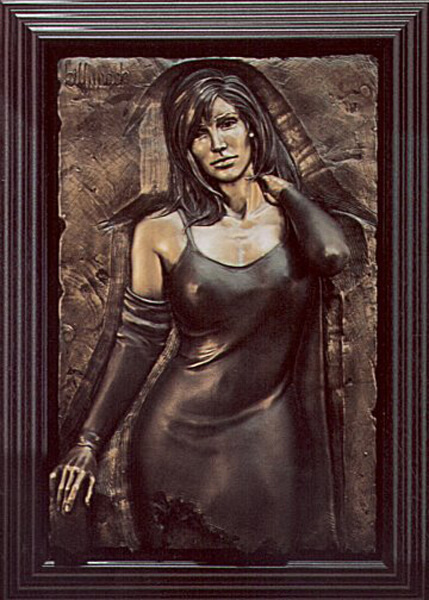 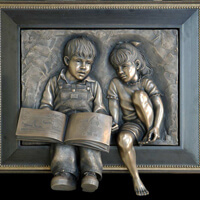 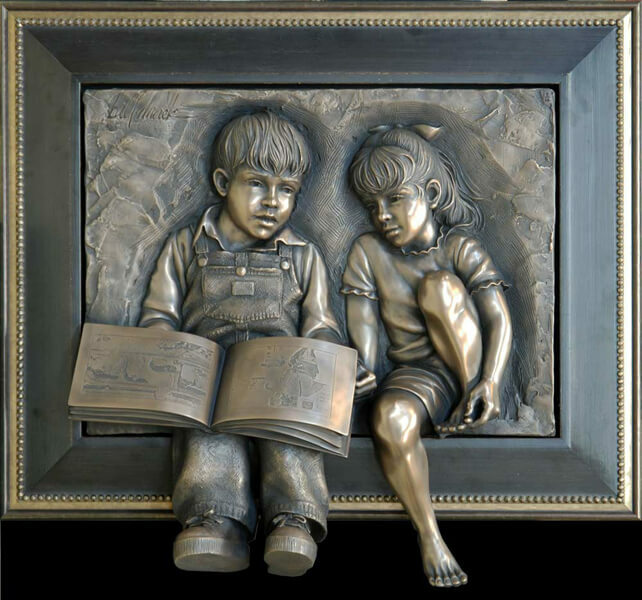 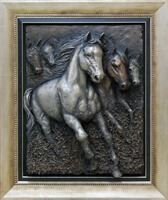 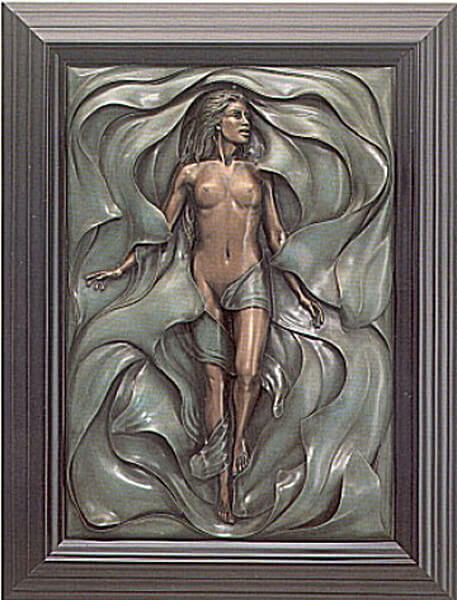 "Calling my artwork bas-relief," Mack says, "is incorrect since bas-relief technically refers to low relief sculpture. 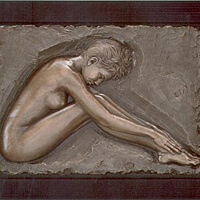 My art, in fact, has more physical depth than high relief; it incorporates various elements in full-round rising toward the viewer as in my "Illusion" image where her leg leaves the background extending into space. 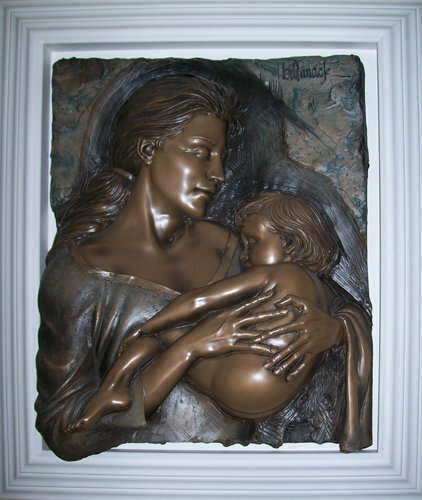 Technically, sculptures combining various levels of relief and full-round parts are called 'Alto Relief' sculptures. 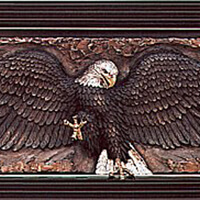 A similar technique has been used on classic Roman and Greek buildings. 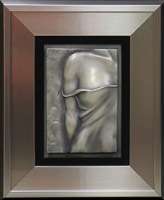 However, until I offered my current collection of sculptures, this art form had not appeared to any extent in galleries." 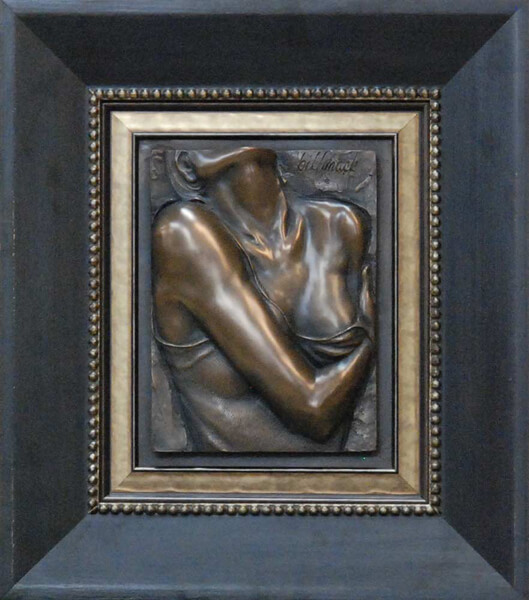 Combining low and high relief, incised lines, and elements in the full-round in sculpture works that are light enough to be hung on a wall, Mack directly involves the viewer in a 3-dimensional experience, both textural and tactile, that is often startling real. 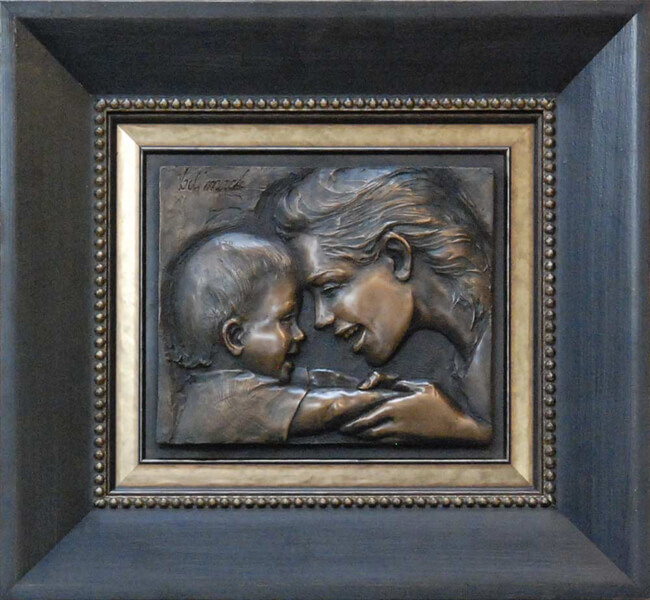 "Mack's art elicits an immediate emotional response," notes one critic. 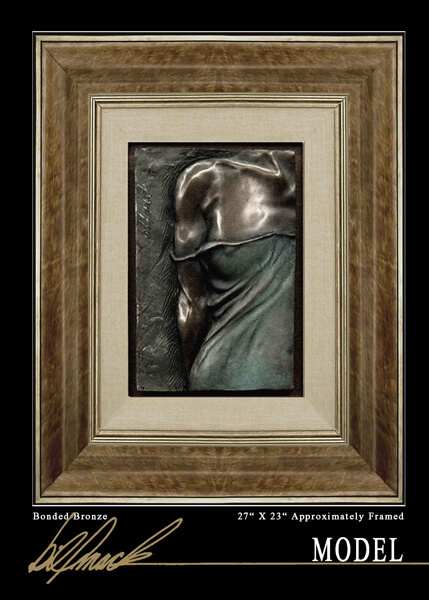 "A moment in time is stopped, a familiar face revealed, the grace of a body in motion captured. 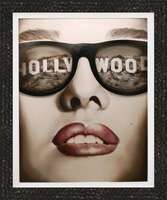 The viewer becomes more than an observer; he becomes a participant in the drama unfolding before his eyes." 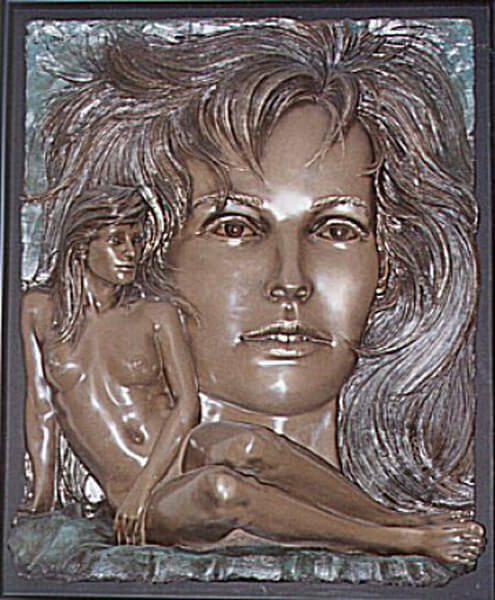 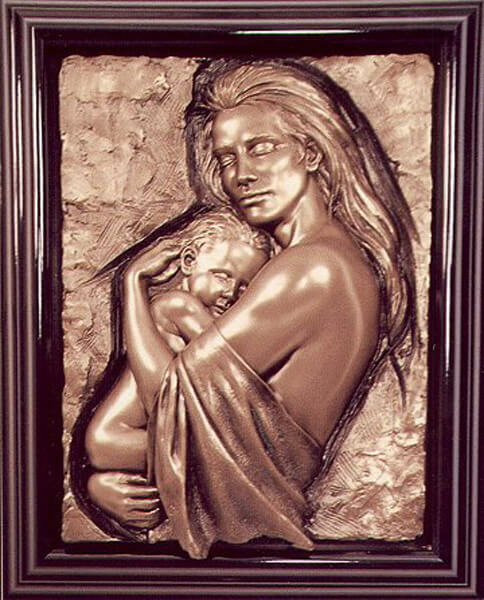 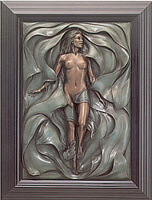 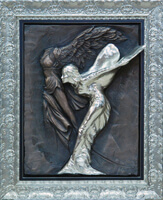 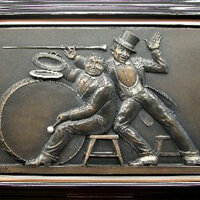 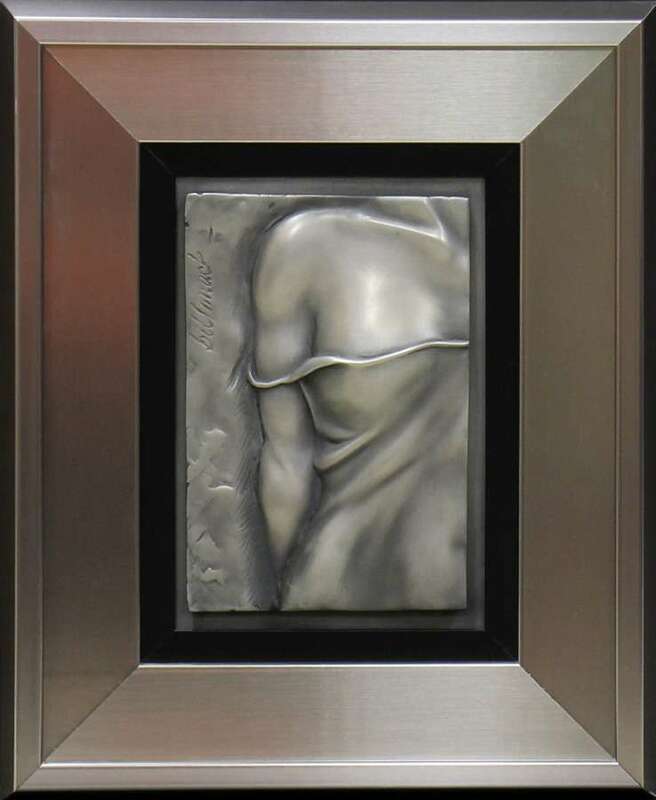 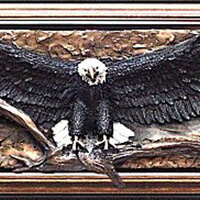 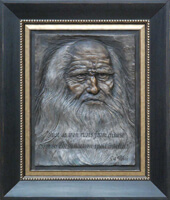 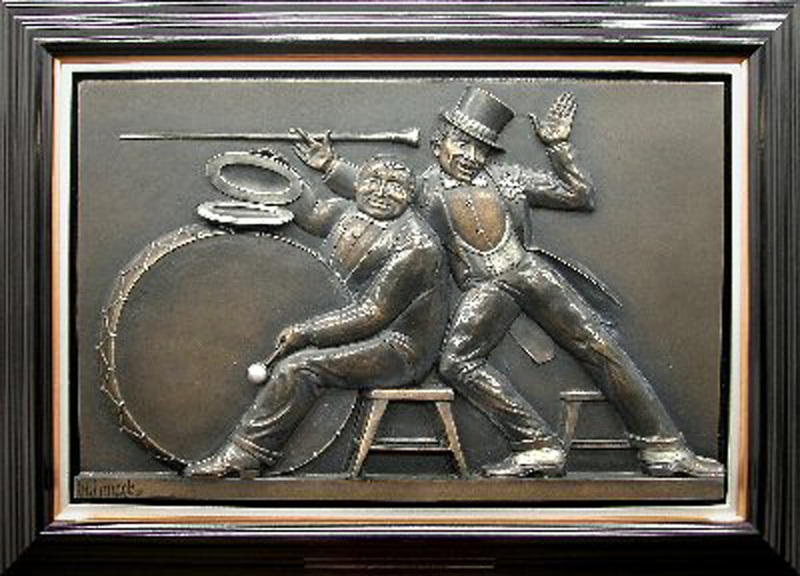 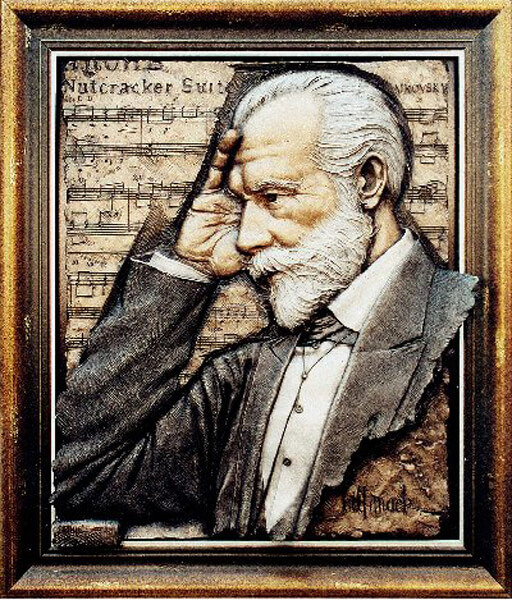 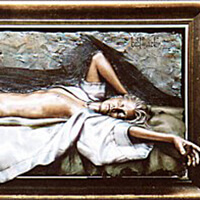 For over twenty years, Mack paid his dues, working mostly as a commissioned artist -- from miniature medallic works such as the Bicentennial medals for the State of Minnesota and the cities of St. Louis and Baltimore, to reliefs and full-round sculptures for corporations such as General Motors, Pillsbury, and 3M. 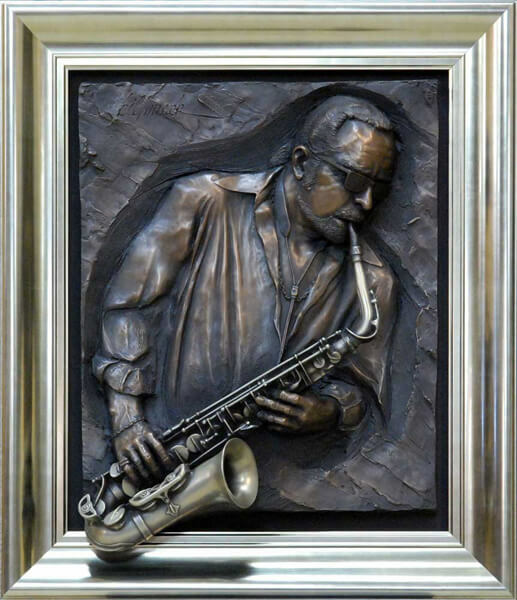 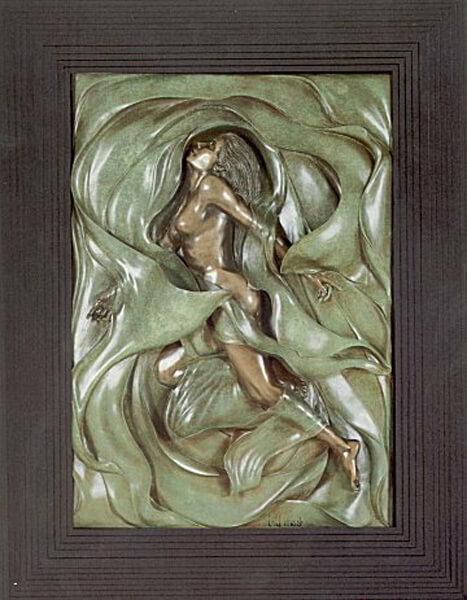 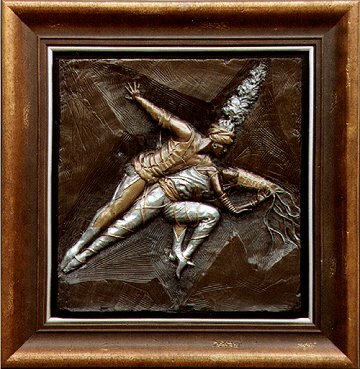 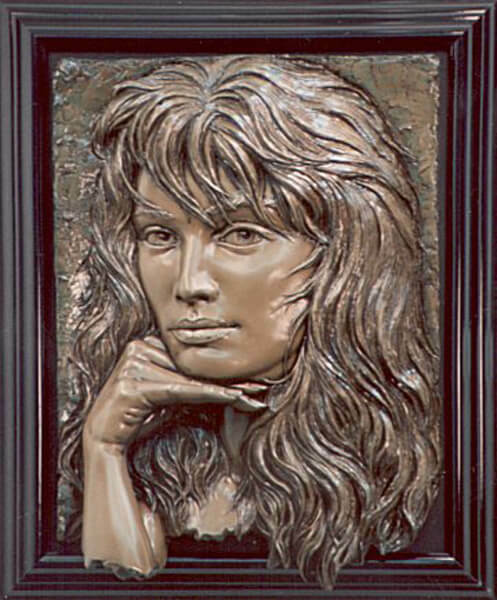 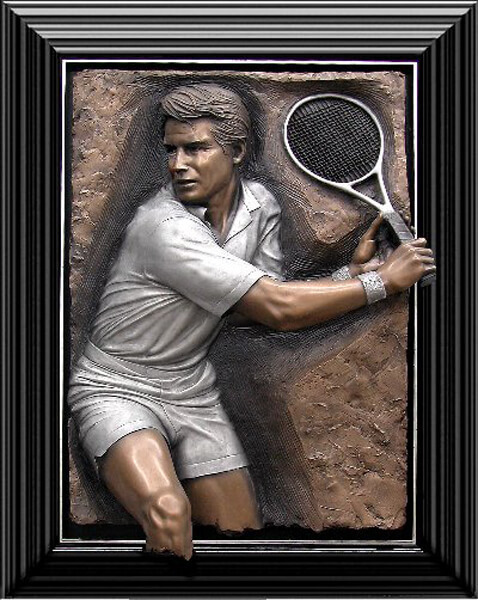 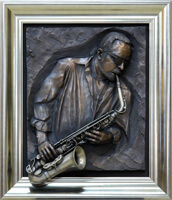 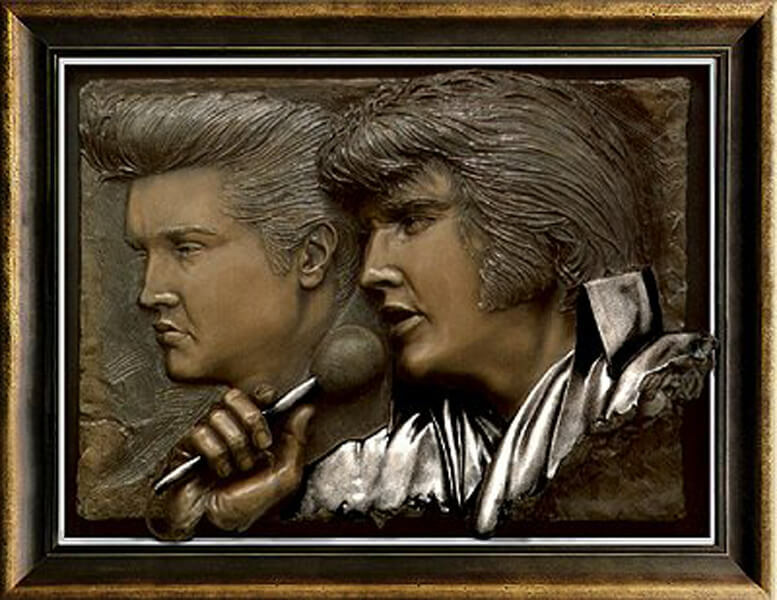 Then, in the early 1980's, Mack made a venturous artistic move and entered the competitive gallery world with his Alto Relief' sculptures. 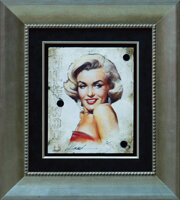 Today, in the popular contemporary arts, he has developed a major following. He made a spectacular debut in New York and, in a remarkably short time for a contemporary artist, Mack has achieved worldwide acceptance. 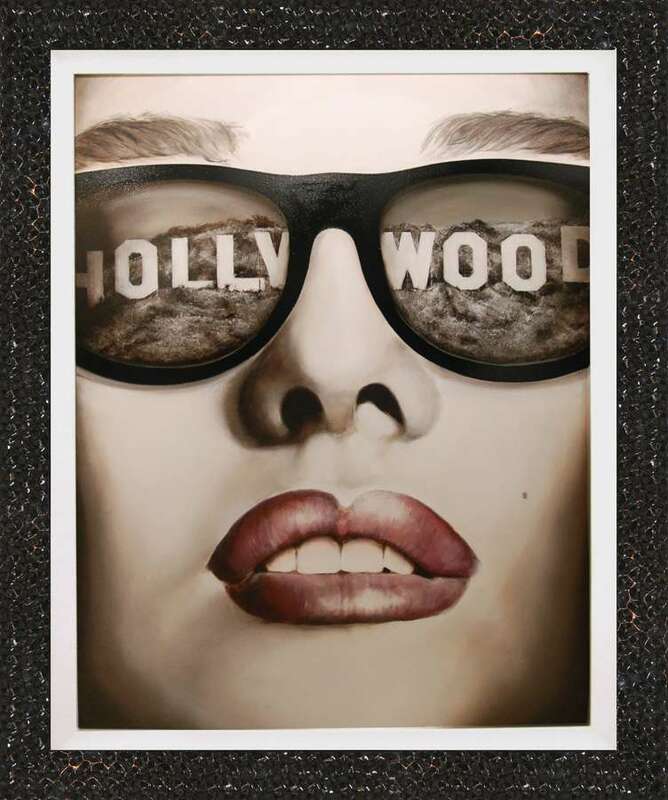 He has had exhibitions in galleries from New York City to Beverly Hills, and from Tokyo to Frankfurt. 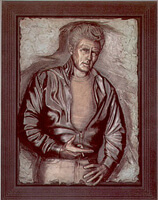 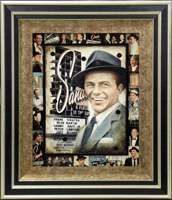 His work is in the collections of President Clinton and former Presidents Ford and Reagan - Actors and renowned art aficionados, Sylvester Stallone, Elizabeth Taylor, and Tony Curtis - International business leaders Mrs. Yaeko Shiotsuki, Hermann Schnabel, and Irwin Jacobs - and celebrities as diverse as Kenny Rogers, comic Howie Mandel, and record producer Jimmy "Jam" Harris. 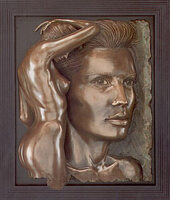 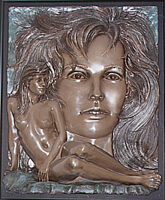 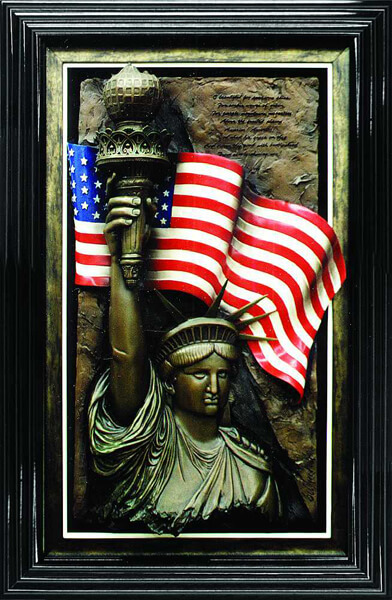 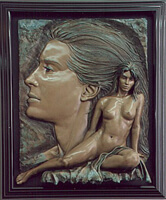 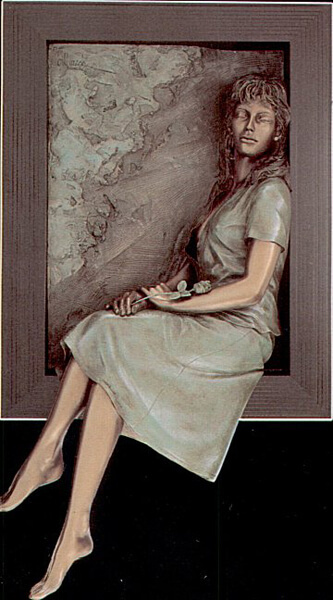 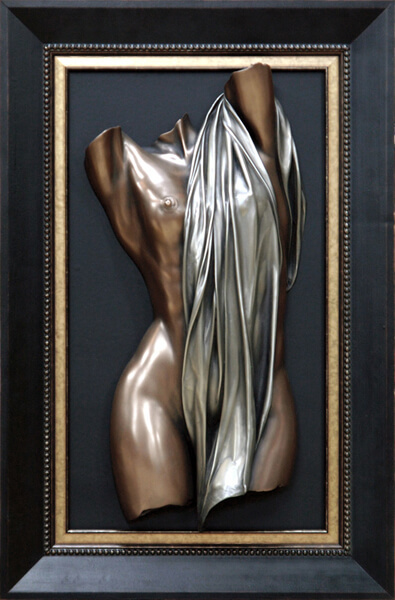 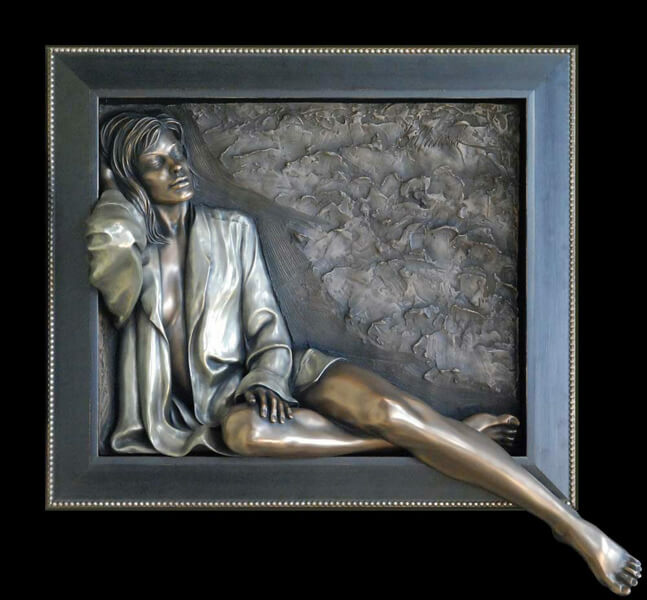 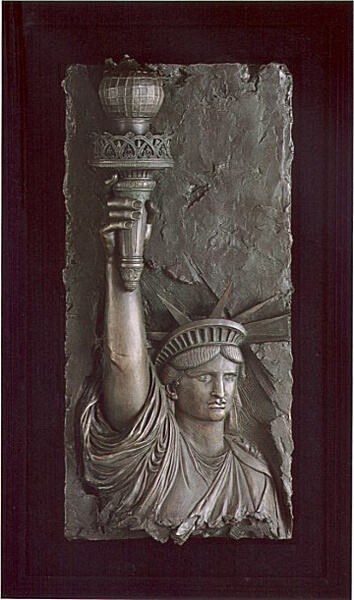 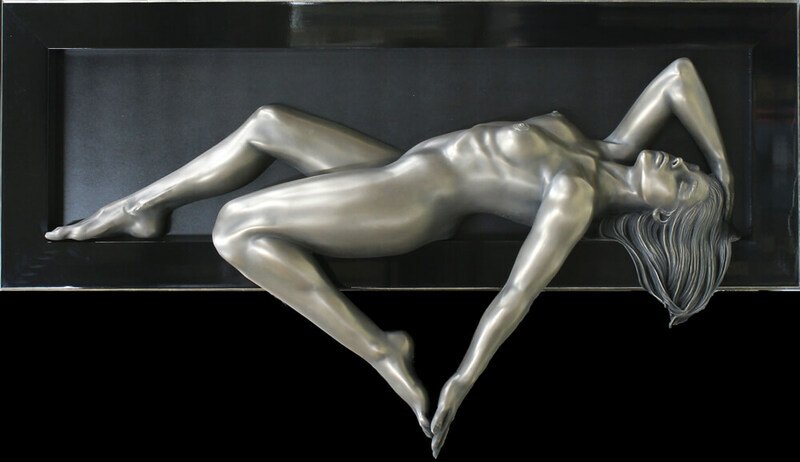 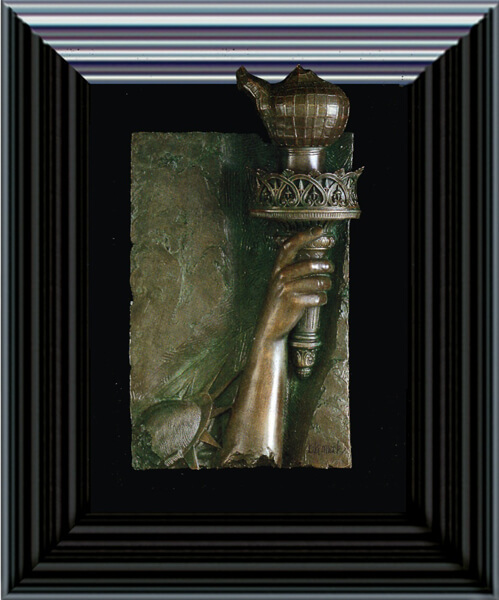 His piece entitled "Lady" is part of the permanent collection of the Statue of Liberty National Monument on Liberty Island. 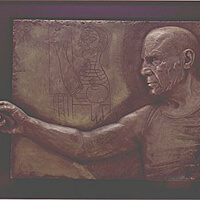 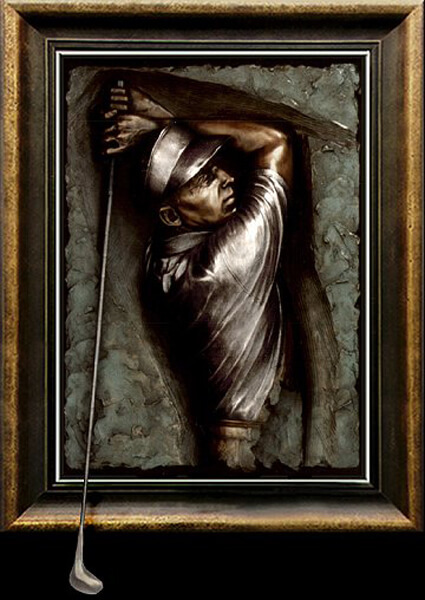 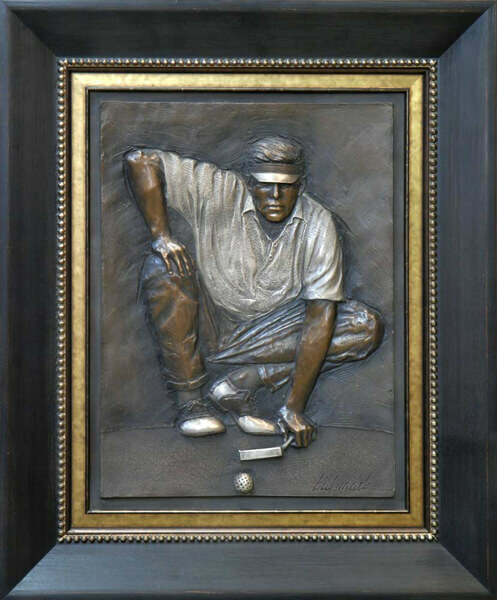 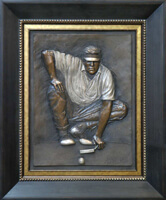 His sculpture of basketball great Kareem Abdul-Jabbar hangs in the entry of the NBA Hall of Fame, and he has also created sculptures that are under consideration for installation in the International Tennis Hall of Fame (Arthur Ashe), the American and Canadian Hockey Halls of Fame (Hobey Baker), his sculpture of Lyle Alzado is in the collection of the NFL Hall of Fame, and a sculpture of Peggy Fleming is on permanent display at the United States Figure Skating Hall of Fame. 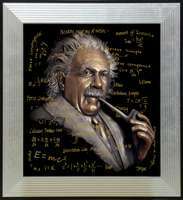 The first reaction to this work is usually, "How does he do it?" 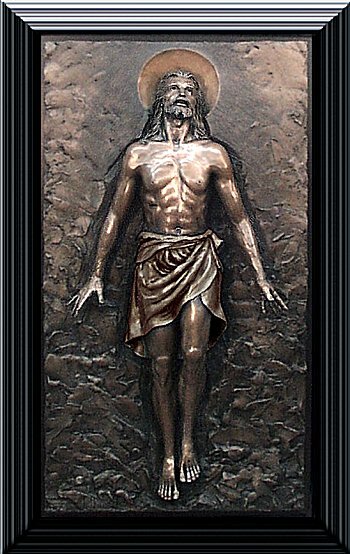 The answer to that question lies in part in his personal history. 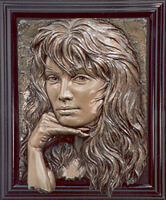 Mack was born in Minneapolis, in a family that had never had anyone directly involved in art. 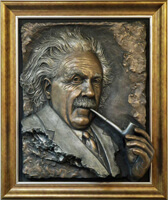 He was creating and selling oil portraits in high school. 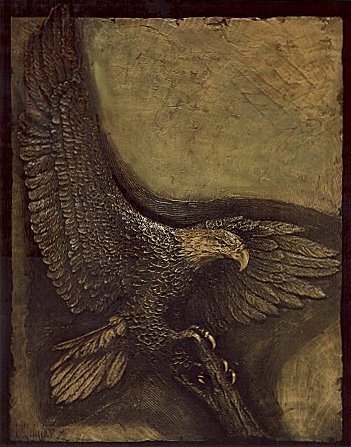 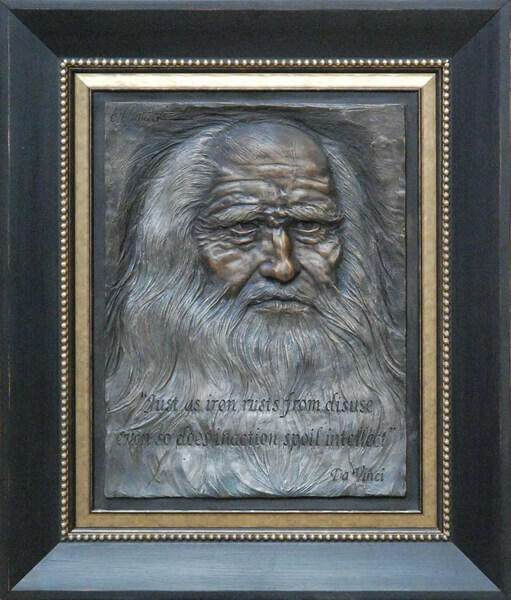 At 17 years old, while employed as a draftsman for a company making bronze dedication tablets, a crucial moment occurred which would change his life forever. 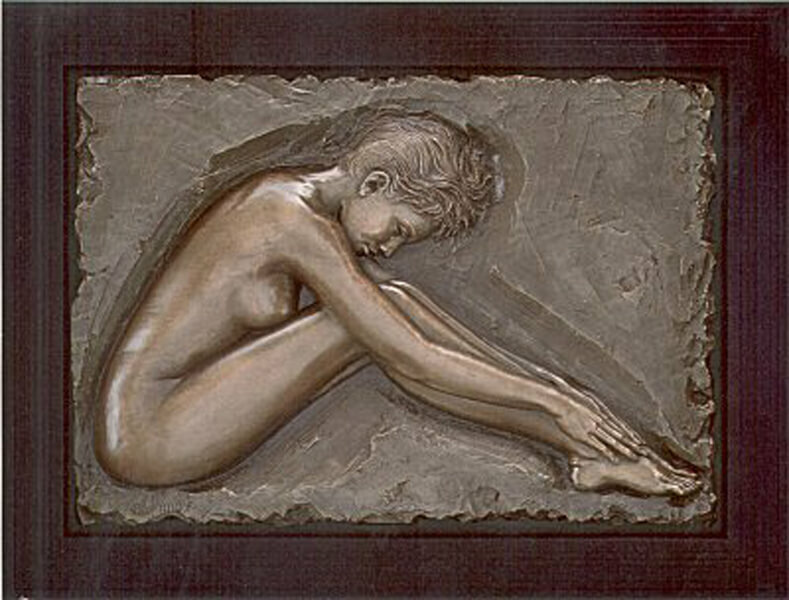 Portraits are the most difficult image to create in relief. 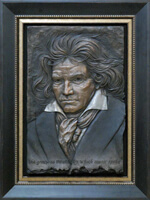 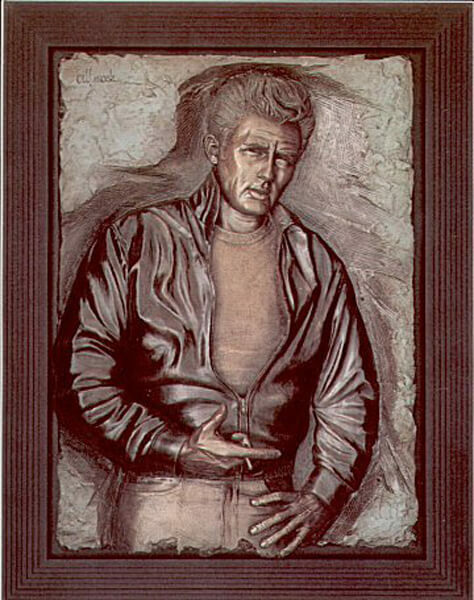 When a poor quality relief portrait for a memorial tablet created by another artist was submitted to the company for approval, Mack thought he could do a better job. 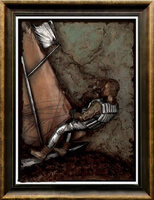 He gave it a try and it was instantly accepted. 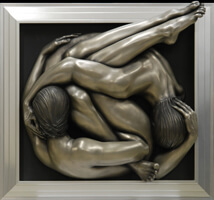 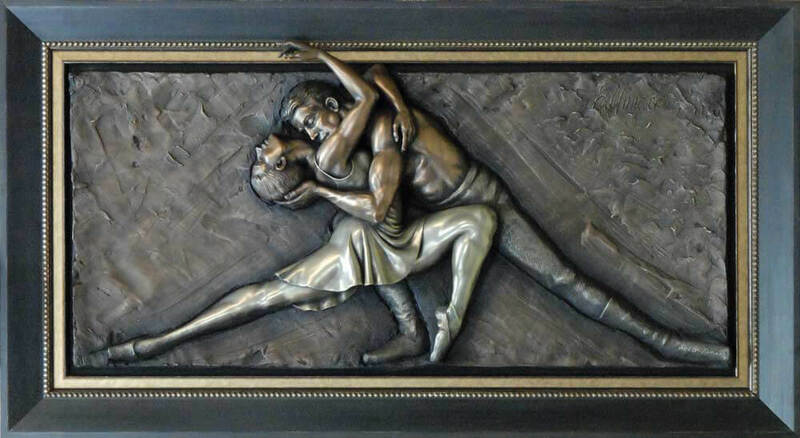 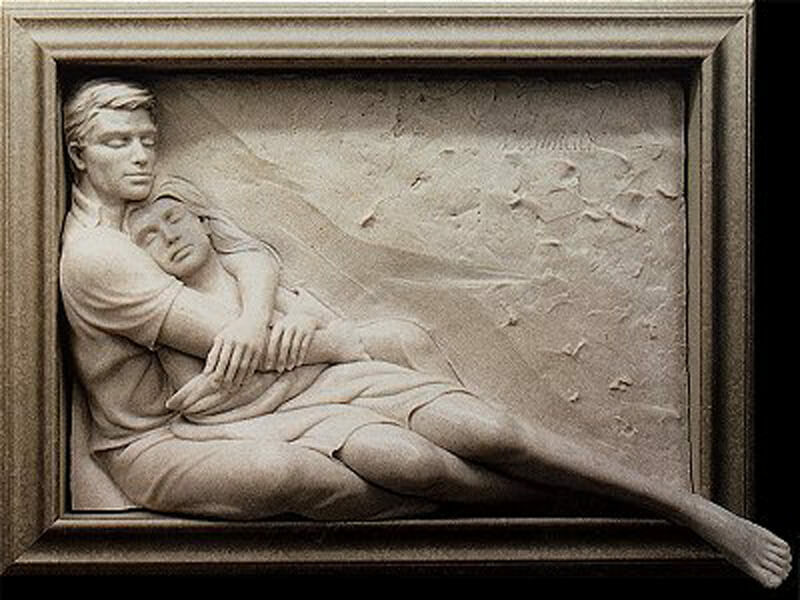 He immediately quit his job and began a career as a commissioned relief sculptor. 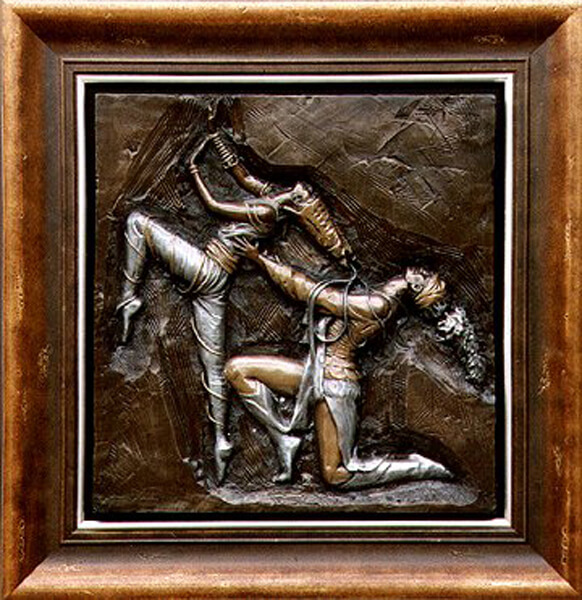 At the University of Minnesota, he majored in Journalism with a minor in art history while continuing to do commissioned work as a free-lance artist. 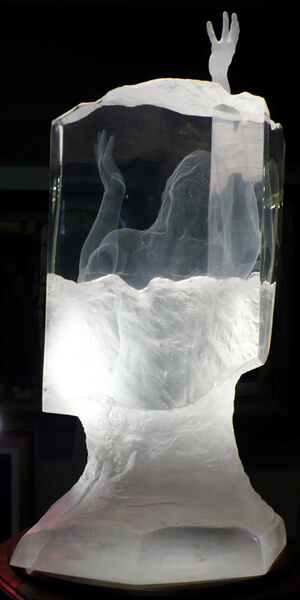 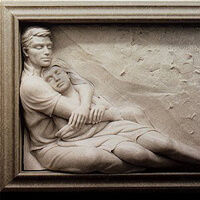 Upon graduation, he continued his one career, working as a relief sculptor. 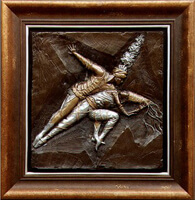 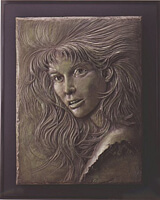 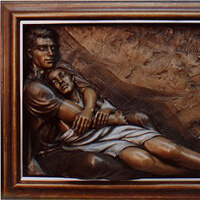 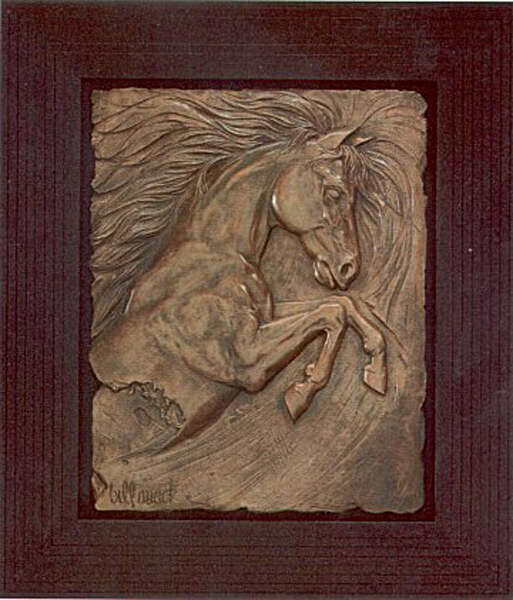 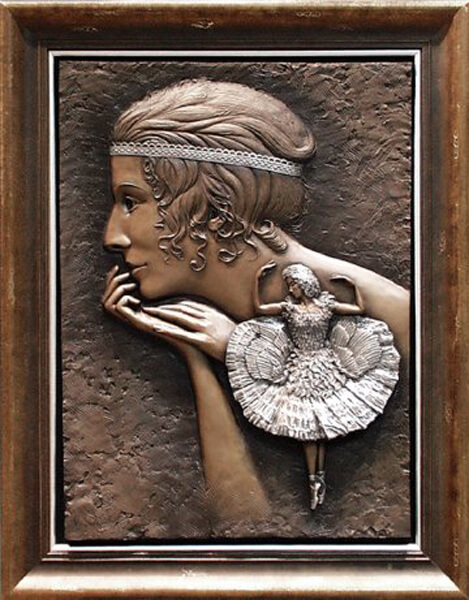 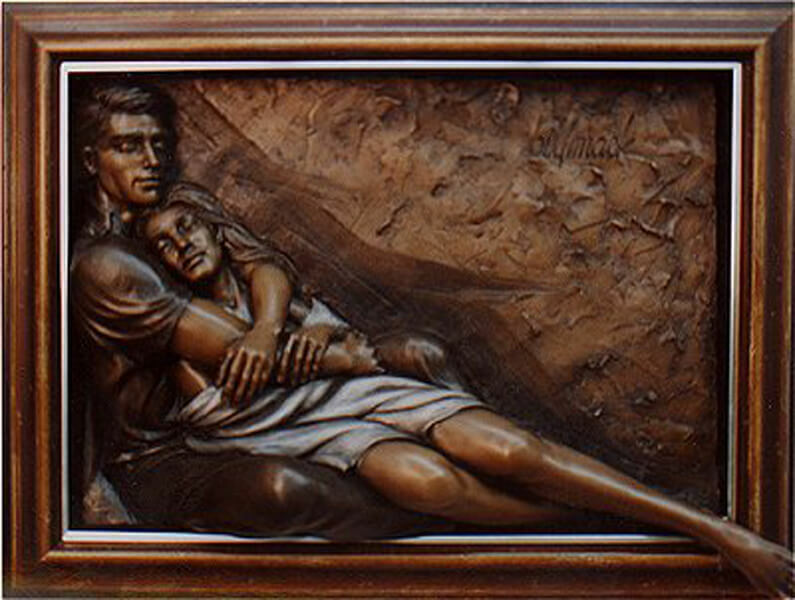 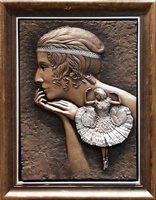 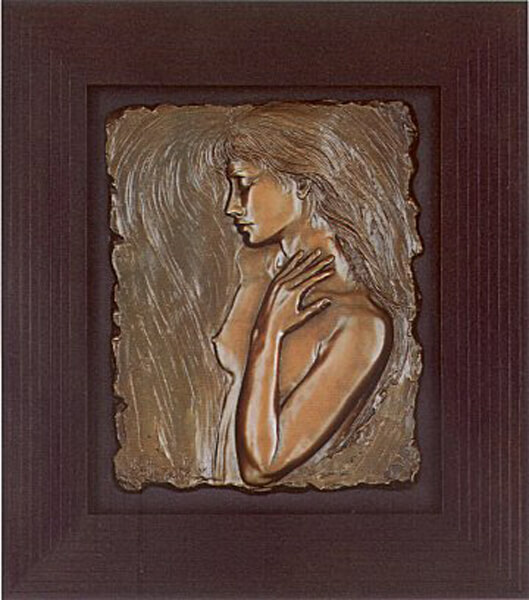 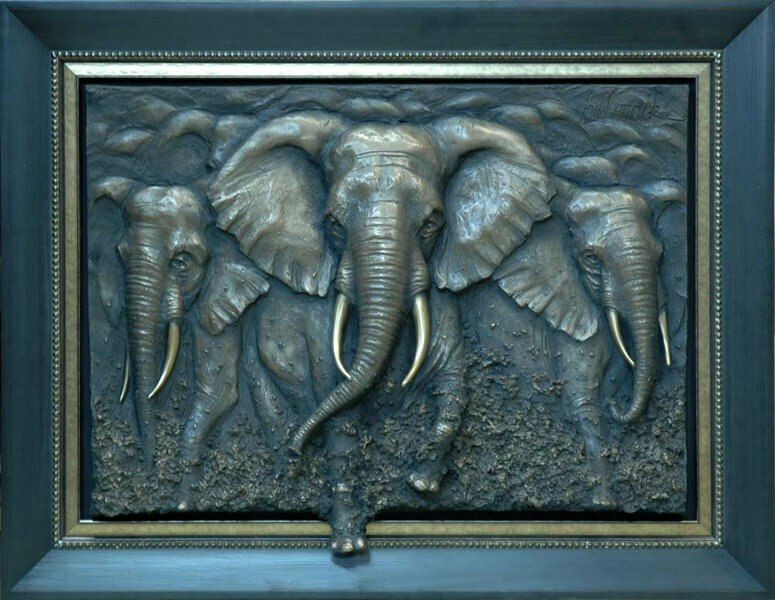 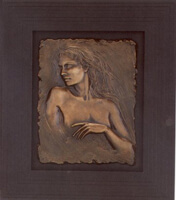 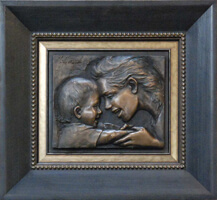 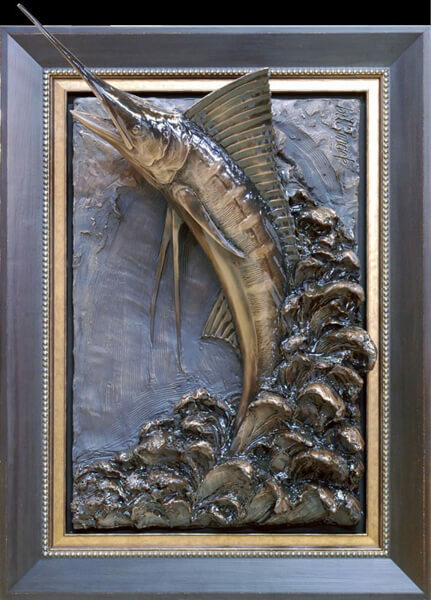 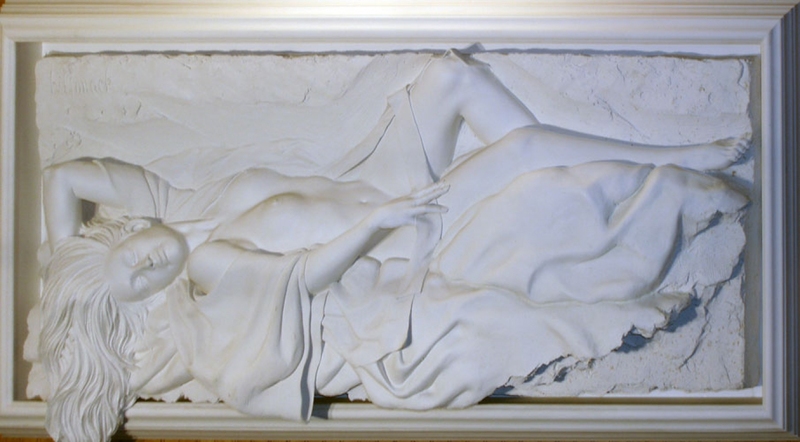 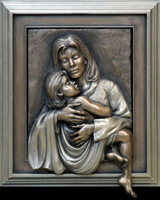 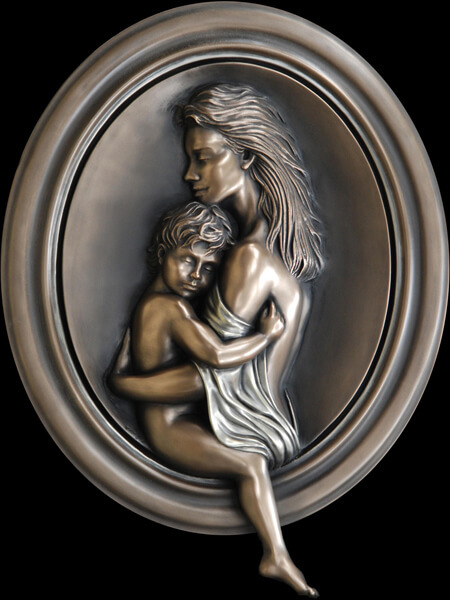 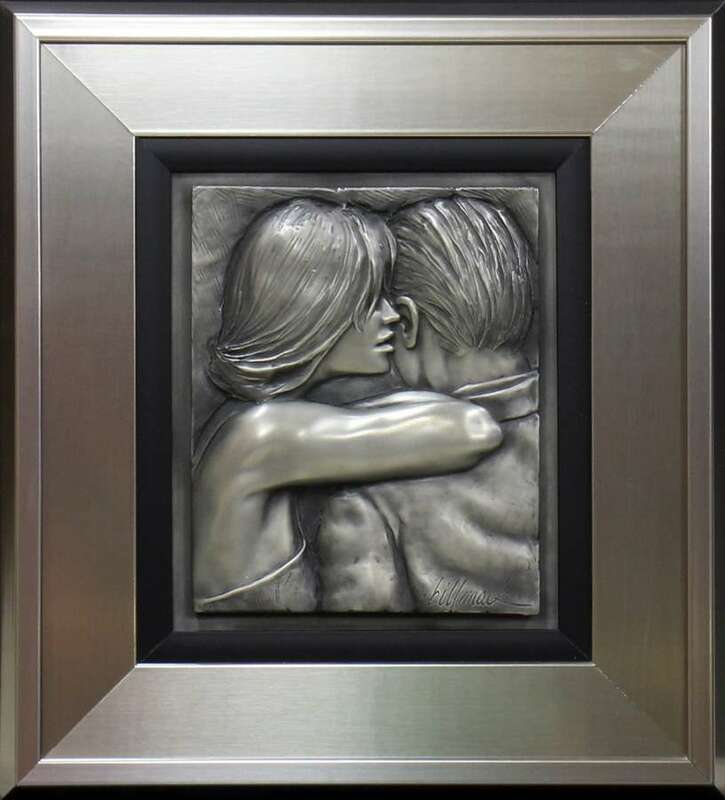 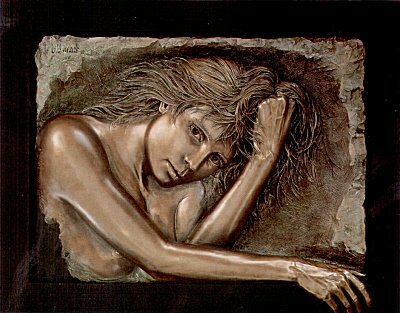 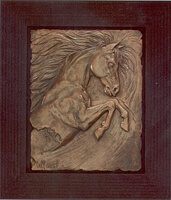 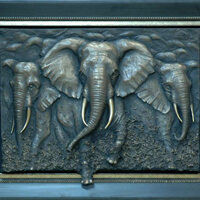 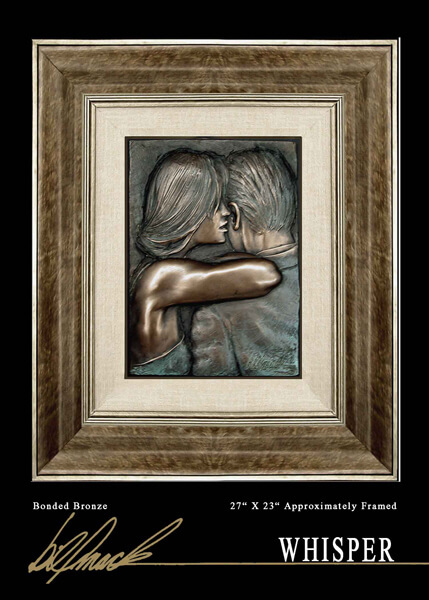 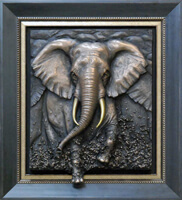 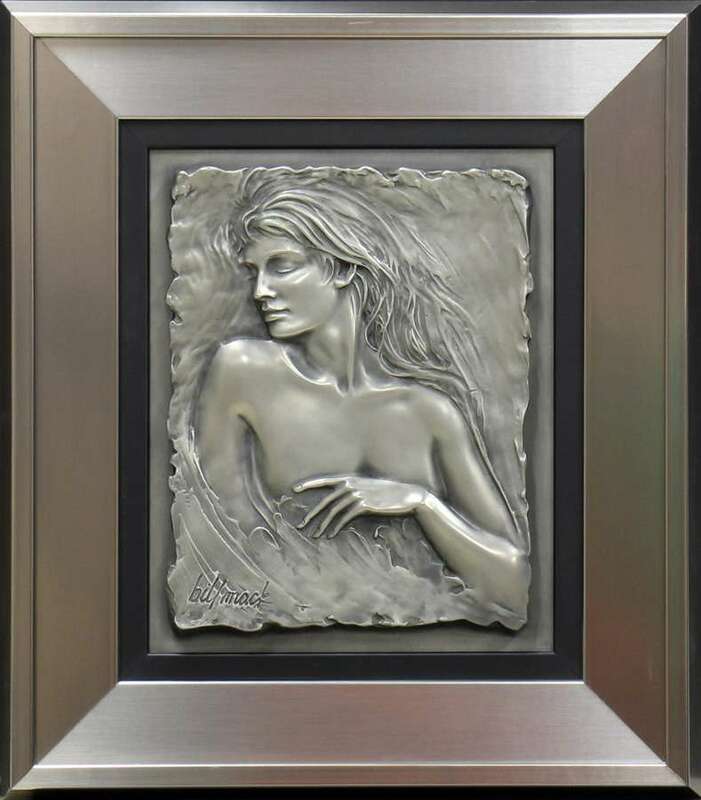 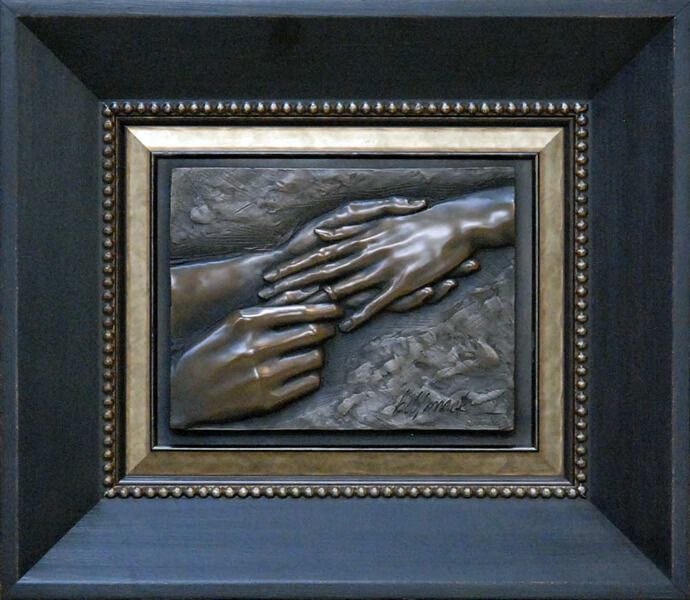 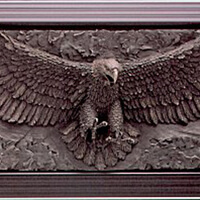 So rare are "accomplished" relief sculptors that Mack met with immediate success. 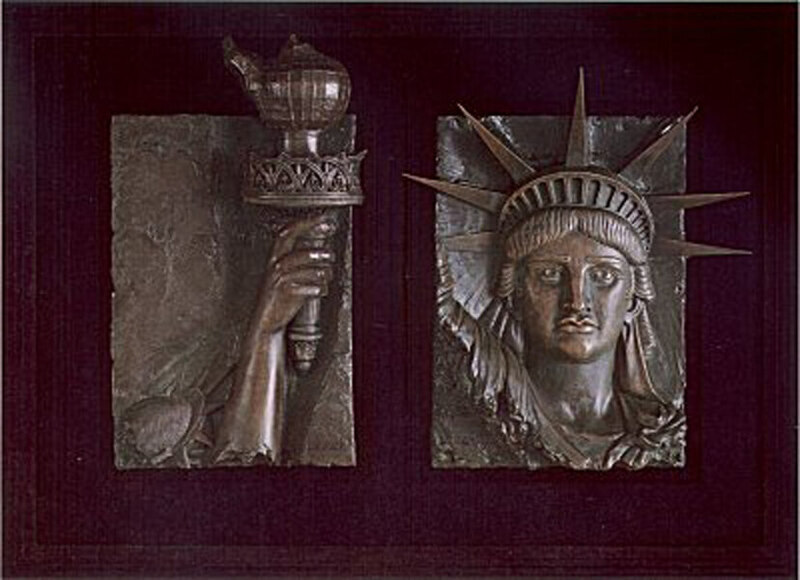 His commissioned work ranged from very small, low relief ingots and medallions, to often monumental sculptures. 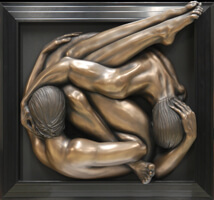 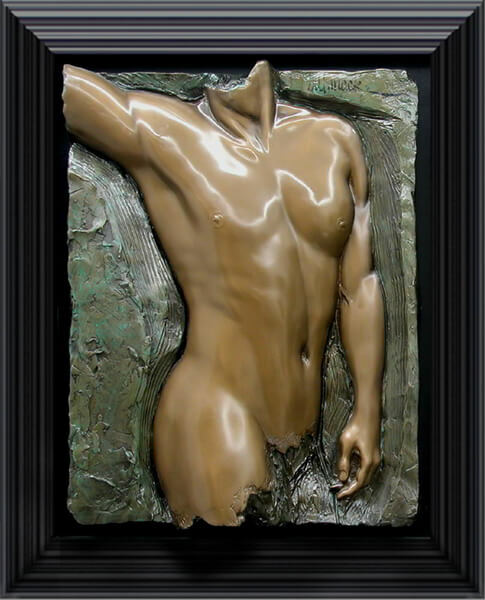 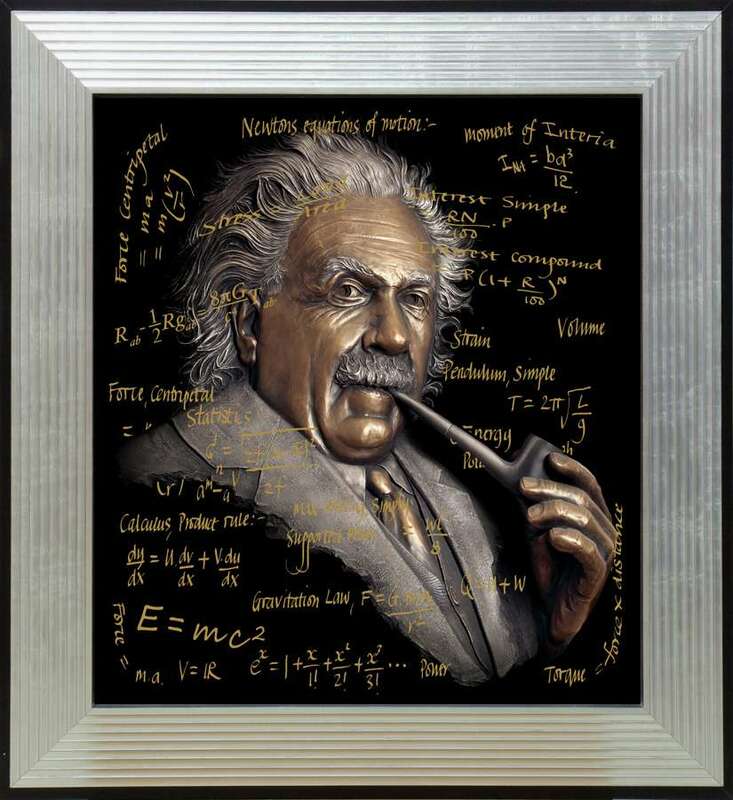 Besides creating hundreds of works in traditional cast bronze, he also gained experience with more modern substances, including resins, urethanes, epoxies, silicones, and acrylics. 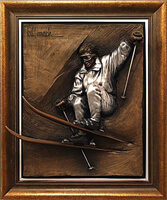 Working in different materials and trying new methods, Mack has gained increasing confidence in his abilities. 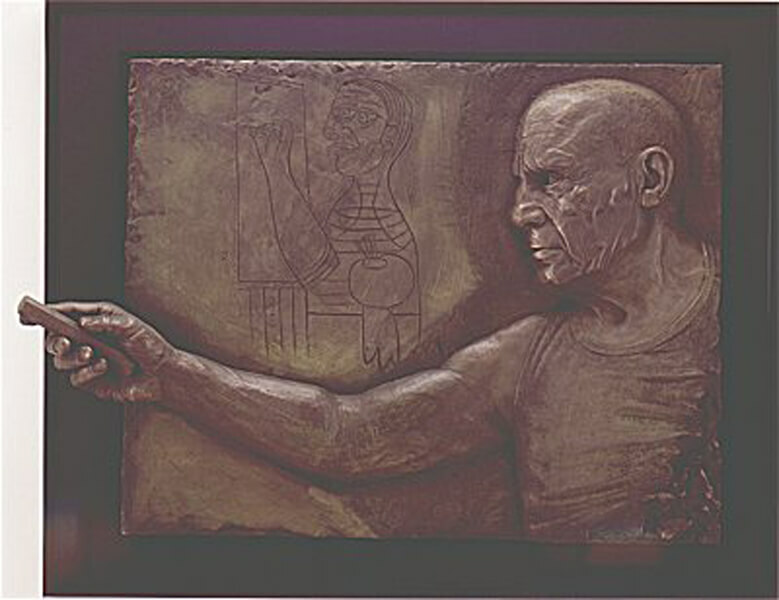 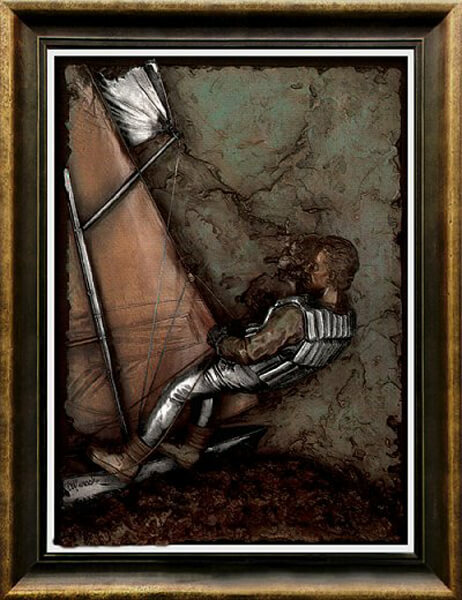 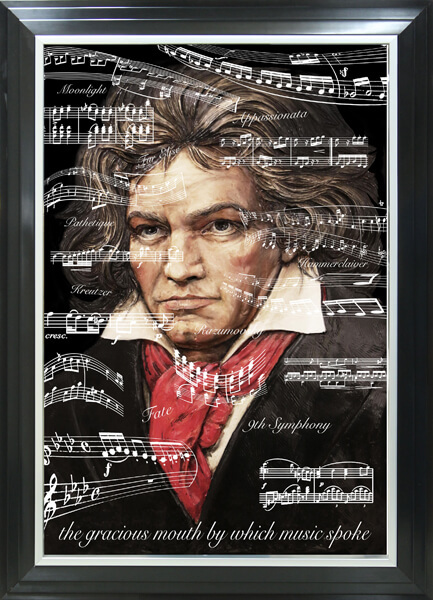 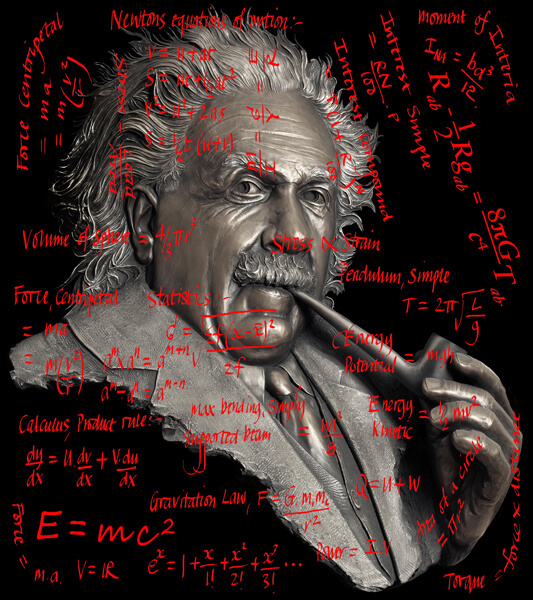 When he made the transition to the galleries, he possessed a great deal of technical knowledge to compliment his unique talents. 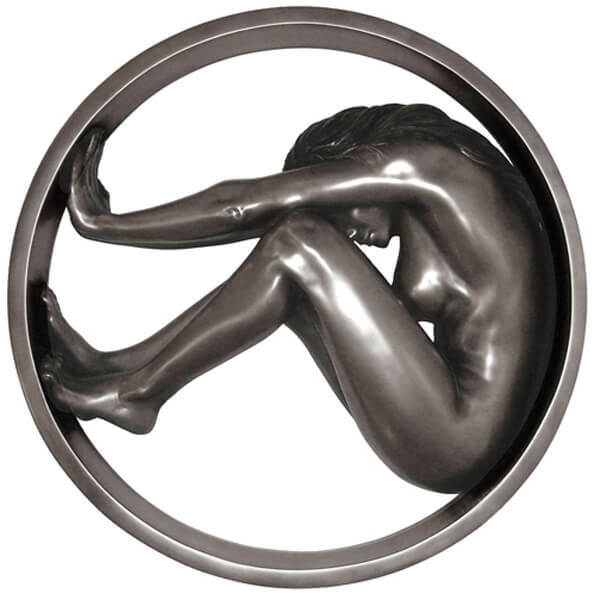 Mack make's Minneapolis his primary home. 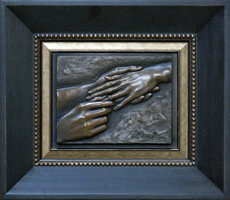 Living in the Minneapolis metropolitan area he says, is pleasant, not only personally, but also professionally. 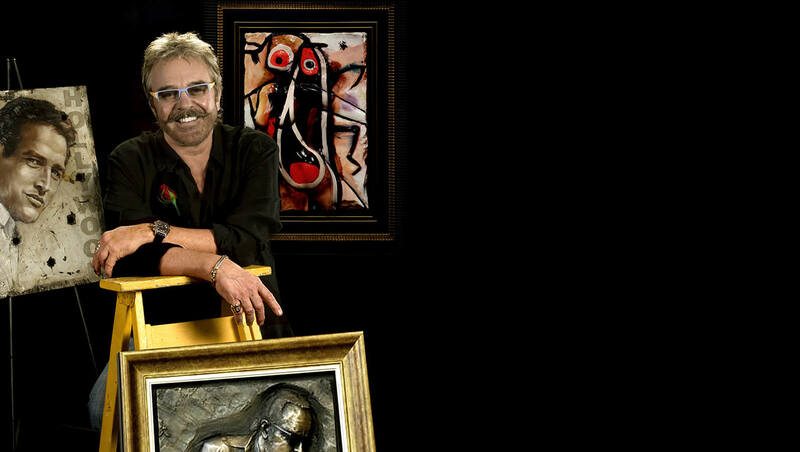 "My time in the studio is precious. 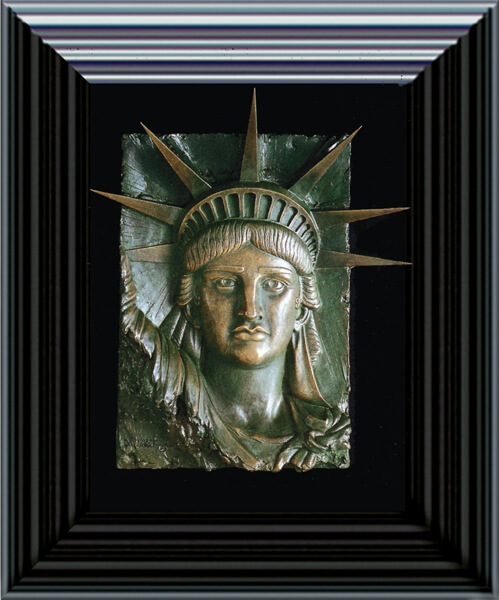 Being centrally located between the coasts, Europe and Japan, cuts down on travel time. 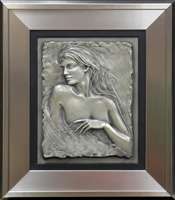 I am close to my 25,000 square foot foundry and framing studio, also located in Minneapolis. 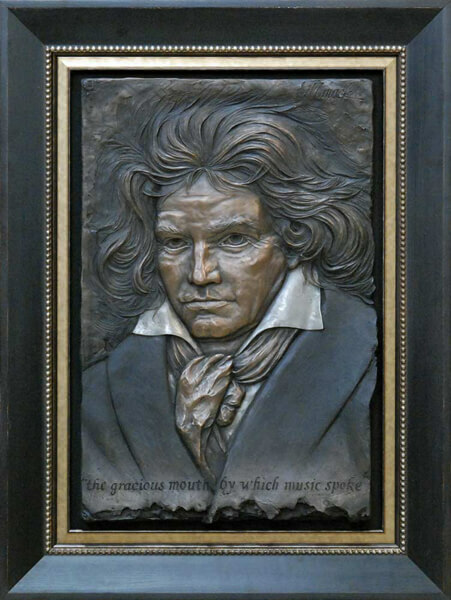 Besides, as you might guess, there are fewer distractions here in the winter months, and I seem to accomplish the largest body of my work during this time." 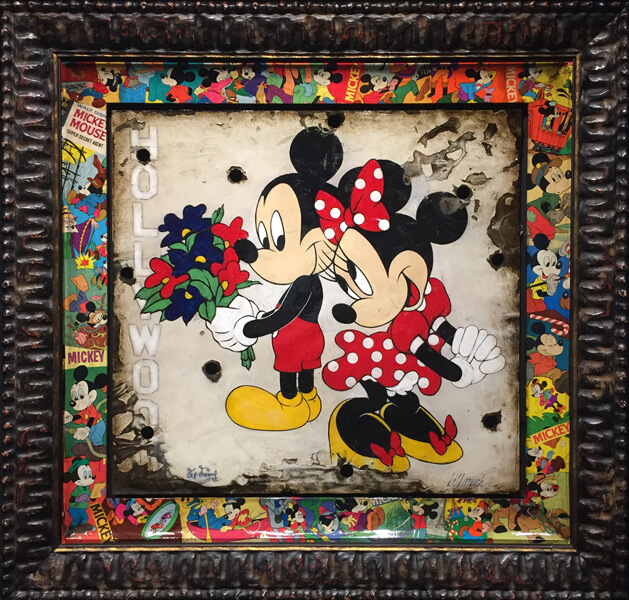 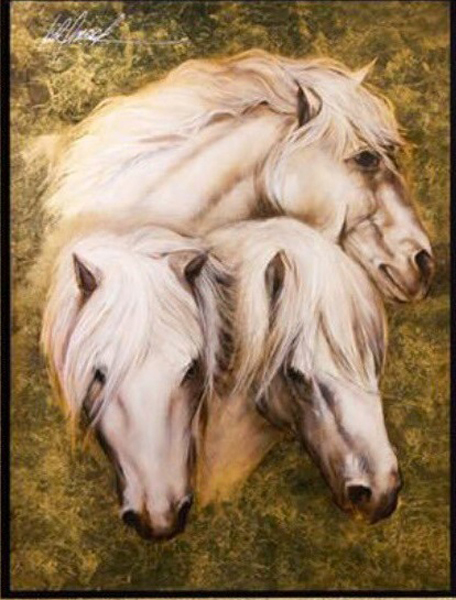 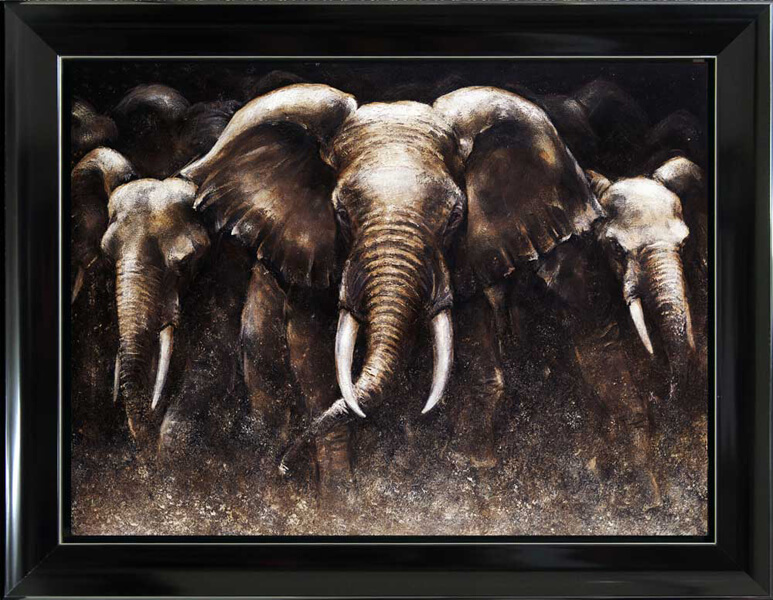 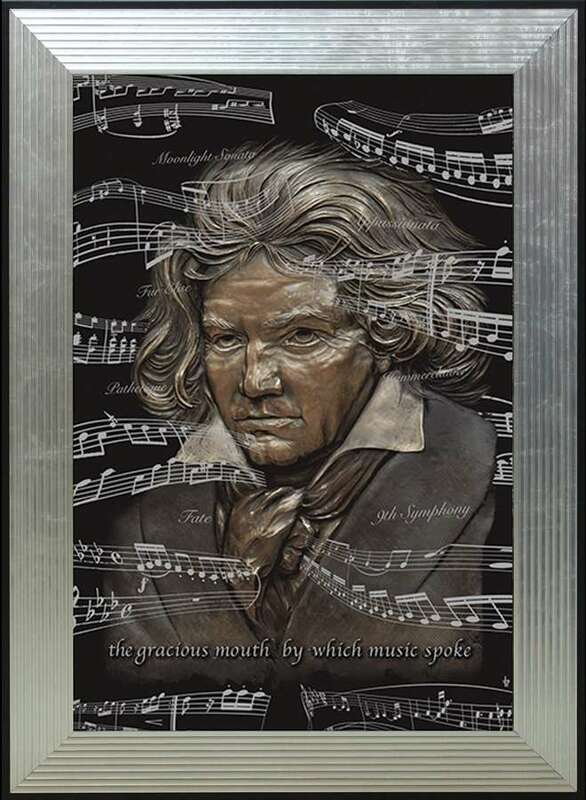 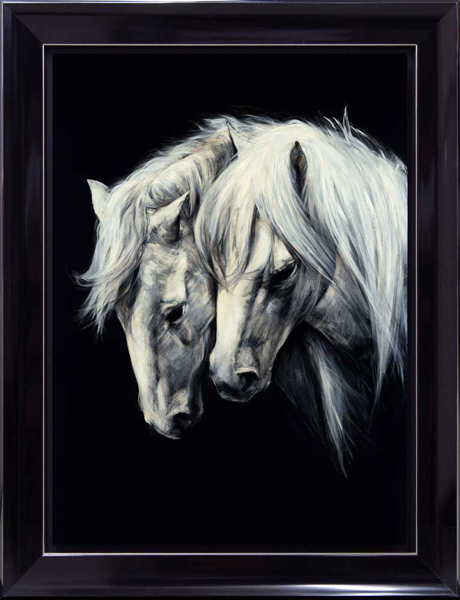 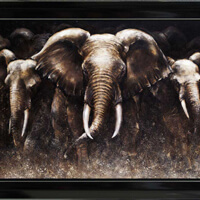 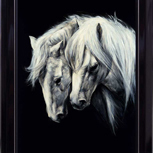 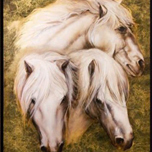 Through his extensive artistic and business contacts around the world, Mack has also become an avid collector. 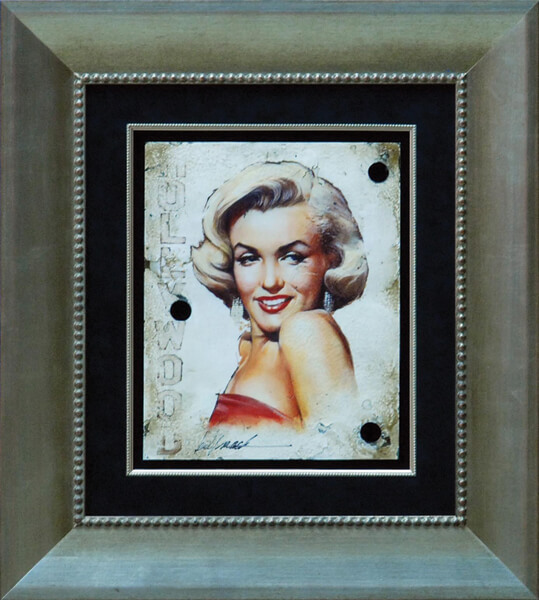 His collection of paintings and drawings includes original works by such a diverse group of artists as Miro, Chagall, Picasso, Paul Jenkins, Jim Dine, and his friend and fellow Minnesotan, LeRoy Neiman. 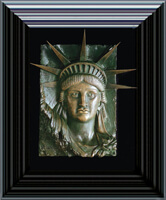 However, his collection, include several presidential letters written by Washington, Lincoln, Jefferson, John Kennedy, and others. 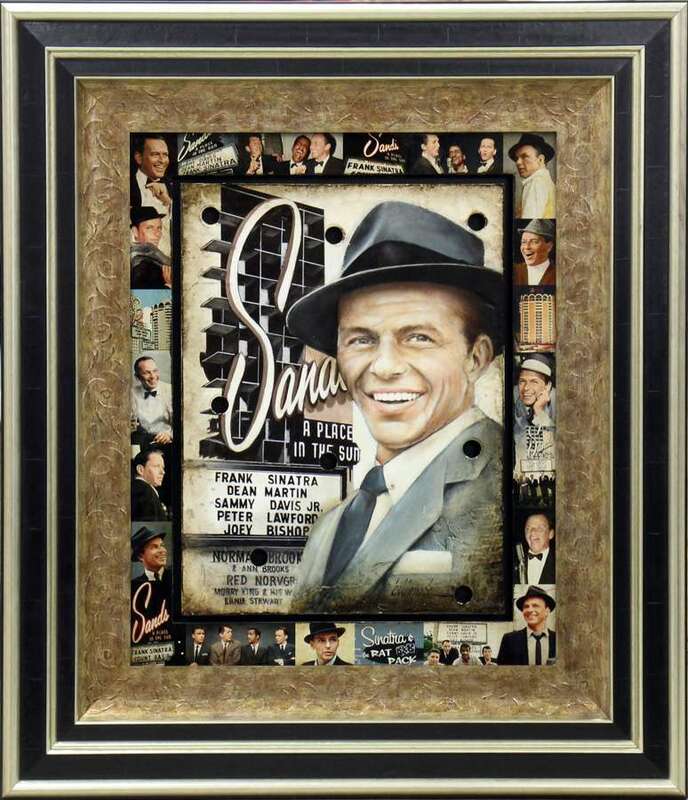 To decorate his tiered video theater, he collects and displays a treasure of costumes such as the one worn by Bert Lahr as the Cowardly Lion in the Wizard of Oz, Clark Gable's coat from Gone With The Wind, and Lon Chaney's suit from Phantom of the Opera. 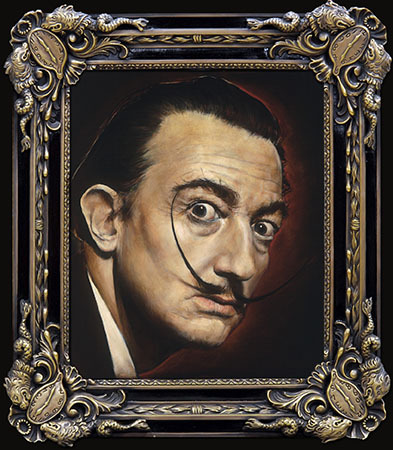 Youthful and enthusiastic, ambitious and stylish, the mustachioed Mack has a distinctive flair about him. 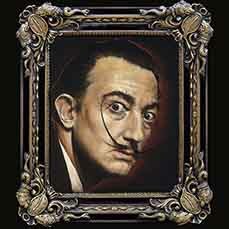 For example, there is a fresh red rose bud he wears on his lapel every day. 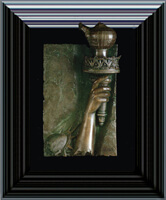 Though he will not reveal the personal reason why he began the practice some years ago, the red rose has become a symbolic trademark. 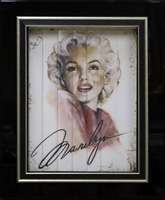 Presenting them at gallery openings, he has become the largest non-commercial buyer of roses in the world, requiring tens of thousands of them each year. 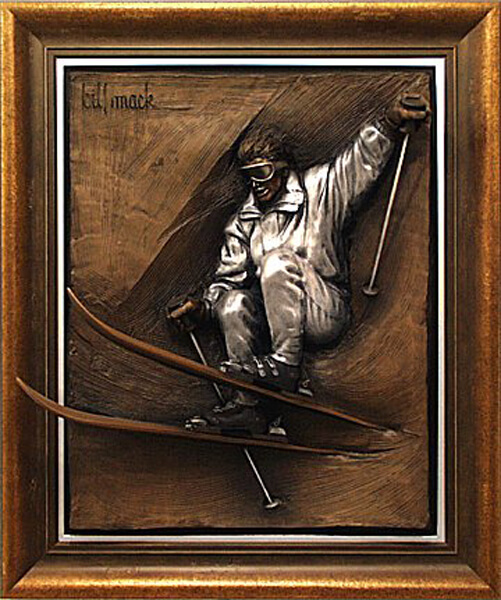 Without a doubt, Bill Mack's creations are strikingly unique in the world of art. 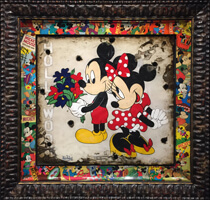 In or out of his studio, Mack is an unusual man and artist, influencing today's world of contemporary art.